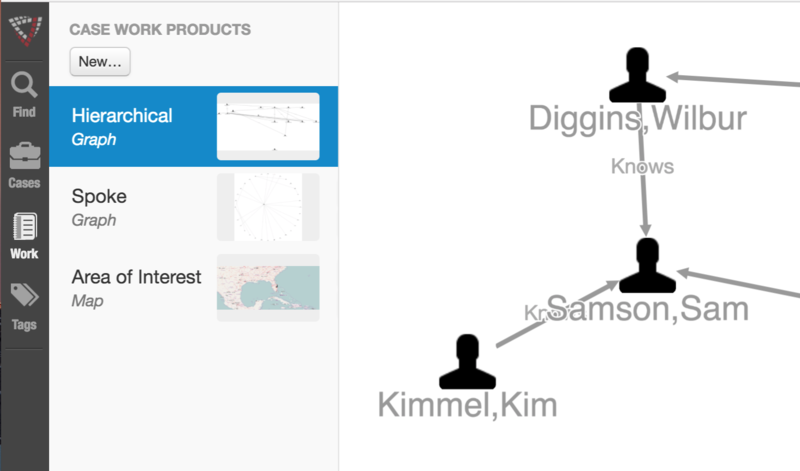 Visallo was created with investigators, analysts, and researchers in mind. Today we are very pleased to announce Visallo 3.0 which includes the first of many planned features designed to make managing case work in Visallo even easier. For more information about our commercial offerings and Visallo’s features, please contact us via our website or our public Visallo Slack. To reflect Visallo 3.0’s improved case management capabilities, workspaces have been renamed to cases. Additionally, you can now add as many graph and map work products to a case as necessary to organize cases your way. Maps are now based on the next generation OpenLayers 3 library. OpenLayers 3 was completely rewritten for higher performance and allows for support of new map layer sources, including Bing, Mapbox, and CartoDb, as well as future features and extension points. See the OpenLayers 3 documentation for the full list of layer sources supported by Visallo. This lays the groundwork for exciting new mapping features in the future. Dashboard card, graph options, and graph view extensions can now be written in React. See the front end extension documentation for more information on writing extensions.